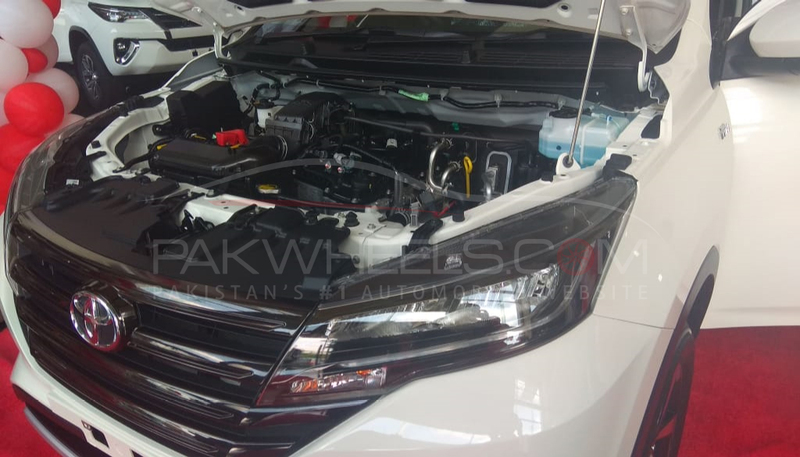 As we have mentioned multiple times in our previous blogs that the chances are Toyota Rush will be priced at around 3.5m PKR and turns out we were right. Toyota IMC has finally launched the all-new Rush 2018 and even with 3,660,000 rupees you only get the base model, Ouch! 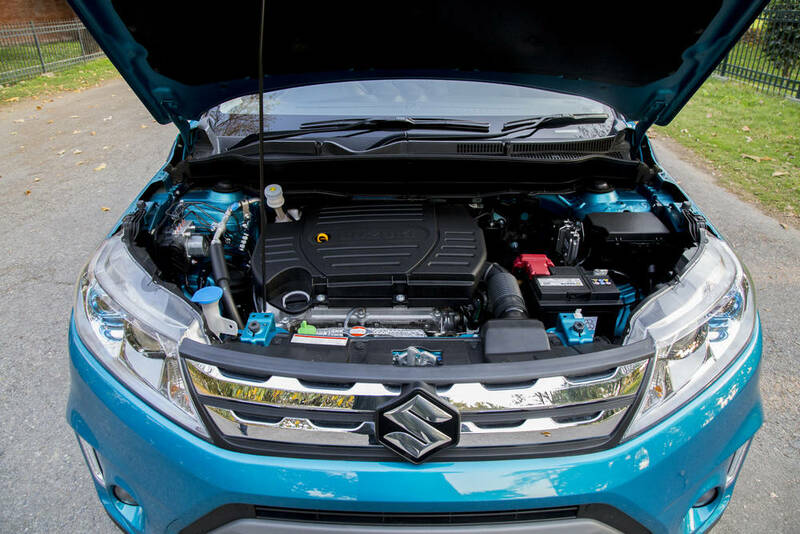 Now, this high prices put it into Suzuki Vitara category. Vitara is an entry-level SUV and currently being imported from Hungary. Though Rush is relatively a newer vehicle, however, Vitara has been in the international market for a few years now. Despite its low sales in Pakistan Vitara is still a great crossover loved for its mild off-roading capabilities and sporty driving nature. 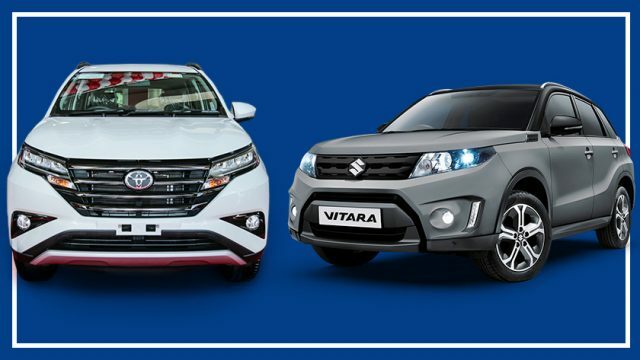 The primary difference between both these vehicles is that Suzuki Vitara is more specifically a crossover, while the Rush is an MPV like the BR-V. Additionally, Vitara is a 5 seater whereas, Rush is a 7 seater. For the sake of comparison, we will compare Vitara GLX and Rush G A/T due to price similarity. As talked about in the Rush vs BR-V blog Toyota has done a pretty good job of making this car look like an off-vehicle and Rush is quite a capable off-roader. You can clearly see Rush has a very muscular look all around. Toyota has also delivered by giving Rush a good amount of ground clearance and it actually beats that of Suzuki Vitara by 35mm. (220mm vs 185mm). When you take a look at Vitara it feels less like an SUV and more like a hatchback on big wheels. But I really like its design and to me its one of the most attractive looking Suzuki’s at the moment. Once again dimensions wise Rush is quite a bigger vehicle in almost all dimensions except the width. 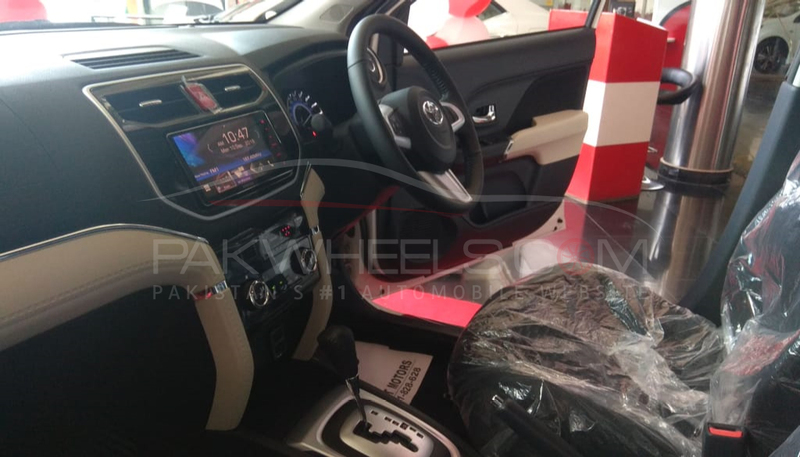 For all number freaks out there, the Toyota Rush measures as 4435 x 1695 x 1705 mm whereas, Vitara measures at 4175 x 1775 x 1610mm. 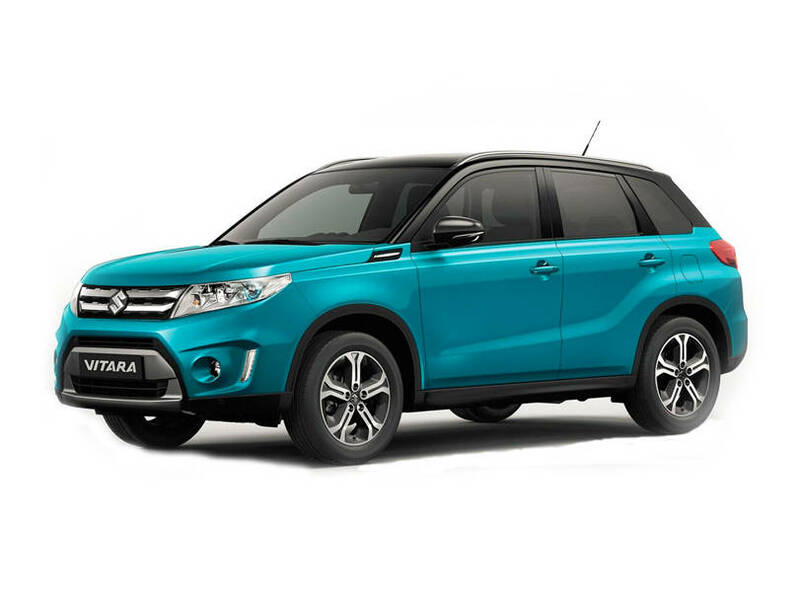 One of the most obvious differences, aside from the size, is the fact that Rush will come with full LED-headlights whereas, Suzuki Vitara is only available with Projector Headlamps. Since the Rush, as well as Vitara, are imported CBU units so you can expect fine interior quality and solidly built materials in the cabin which won’t fall off soon unlike the locally made cars. 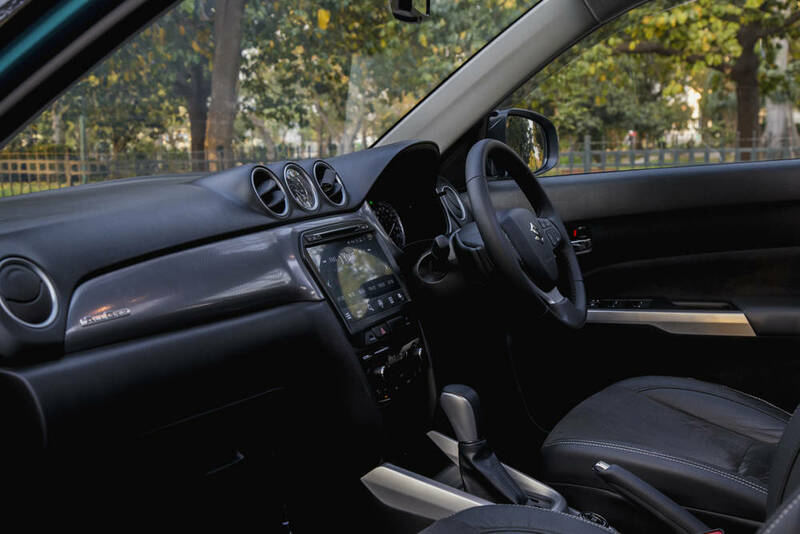 Do keep in mind there has been extensive use of plastic in the interior of Vitara’s internationally and no trim provides leather stitching on the dashboard or steering wheel so despite having a well-built interior the material quality is disappointed considering the price of this vehicle and the similar story continues with the Toyota. Though to make things clear these cars don’t cost a lot internationally hence the plastic interior. Which helps in cost-cutting. 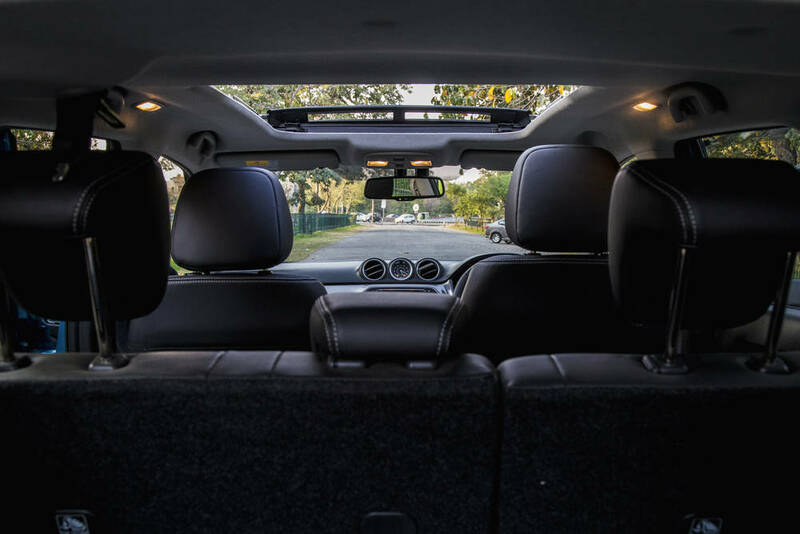 In terms of practicality Rush being the taller and more lengthy vehicle means that you can expect better cabin space in the Rush in terms of legroom, headroom and luggage storage (3rd row sets folded) but the Suzuki Vitara is better at carrying three people at once on the rear seats. Amazingly all these features from the international model are present in this car which we didn’t really expect and kudos to Toyota for bringing a very technologically advanced car to the country. 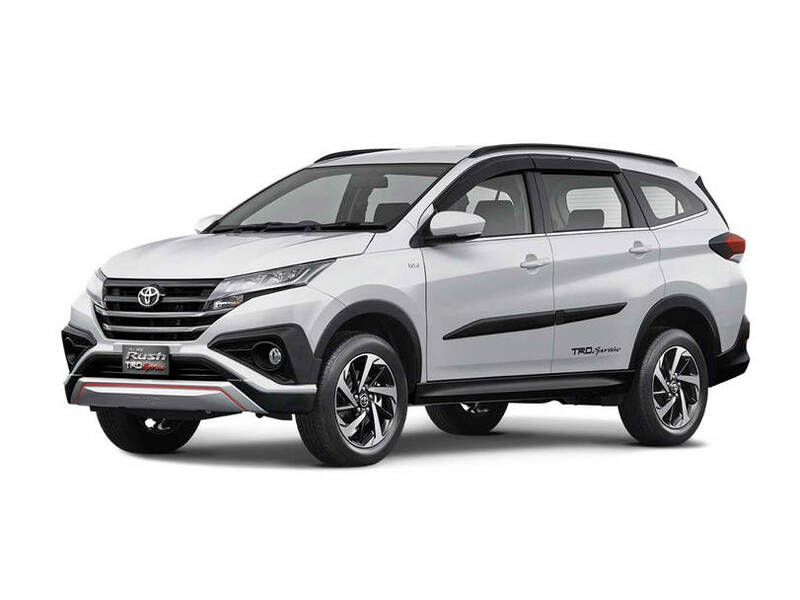 The equipment on this car is segment leading and even the rightful competitor to this car the Honda BR-V misses out on most of these features which are present in the Rush. Moving on, Vitara is no slouch either and it comes with a few unique features which we don’t see in vehicles like Rush and BRV. Keep in mind that the Vitara is a more capable off-road vehicle than the Rush and it also comes preloaded with technologies which aid in off-roading. Which is a huge plus point for the Vitara. 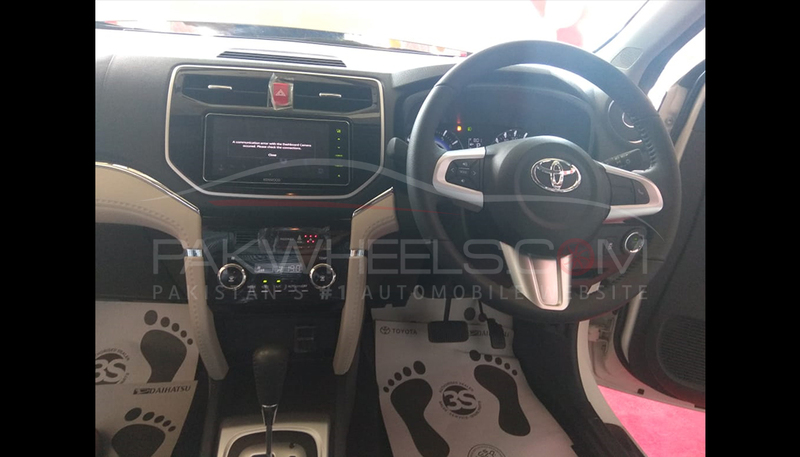 Whereas the Toyota Rush makes up by giving things like rear A/C vents, Android Auto/Apple Car Play and extra charging ports. It will be safe to assume that Rush is more of a family-friendly vehicle than the Vitara. But turns out both cars are equipped very well and you won’t be asking for more features if you buy either of these. Now coming to the most important aspect of these machines which is the engine size. Despite being a bigger vehicle Rush is the one with a smaller less powerful engine while Vitara houses a bigger more capable engine. The Toyota Rush comes equipped with a 1500cc engine. The 1.5L ( 2NR-VE 4-cylinder) is capable of producing 102 BHP and 136 Nm of torque at 4200 rpm which is a little bit less if you ask me. On the other hand, Suzuki put a 1600c l4 N/A engine inside the Vitara which can produce 115HP and 156 Nm of torque at 4400rpm. This better combination makes the Vitara slightly faster than the Rush and takes 0.5s less to reach knot to 100 km/h. Supplementary power is not the only winning factor for the Vitara but its the sharp handling of the Vitara which also makes it a fun to drive vehicles and critics from around the world have loved its sporty nature. 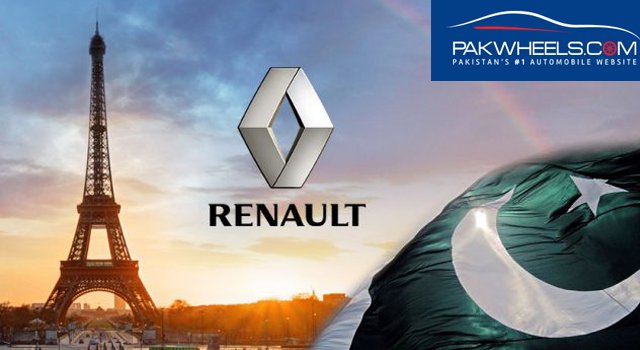 This car surely handles better than anything in its segment which means it beats Honda Vezel and Toyota CH-R. 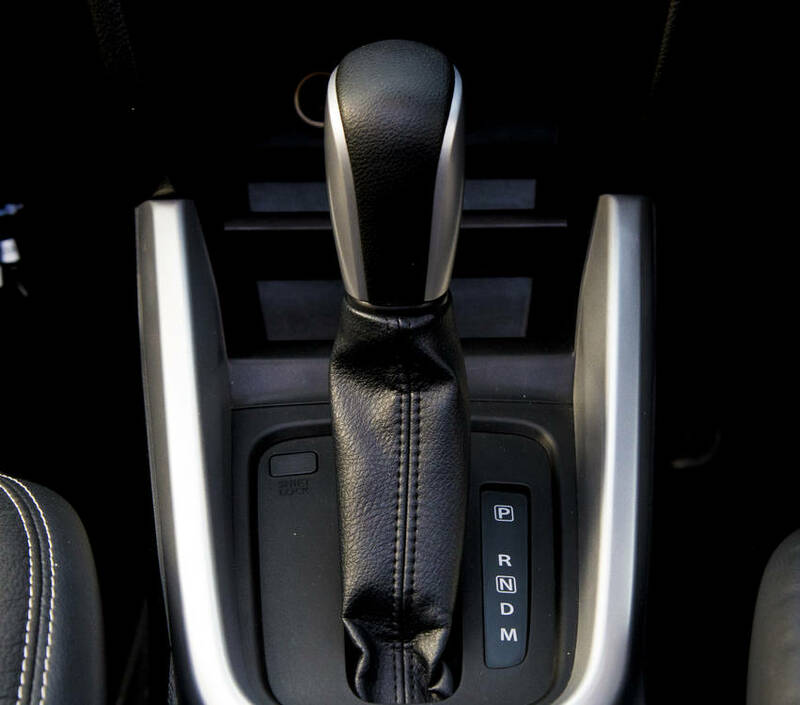 Transmission wise Toyota Rush comes with an option of either a 4-speed auto or a 5-speed manual while the Vitara is available with a 6-speed automatic which in my opinion is the better of the two. And in terms of fuel economy you can expect better fuel average from the Rush but only marginally. Though Vitara returns around 13-14km/h however what will be the fuel economy of the Rush is yet to be known since the car is not released yet. Initially, we were greatly confused on why will Toyota price this car to compete with Suzuki Vitara and not BRV. Turns out aside from the high taxes on this car since its a CBU automatically means a higher than usual price tag whereas BRV is being produced locally leading to a lower price tag. Toyota IMC makes up for all this by fitting a healthy amount of equipment to Rush most of which is absent in the BRV. Now moving on to the important part. Vitara and Rush are two slightly different vehicles and target different markets. I personally find Vitara a more appealing vehicle due to its better off-roading capabilities, more powerful engine and better handling. Even then the Vitara is not selling so good and I highly doubt at 3.5 million the Rush will sell in any better. But if you happen to buy any of these vehicles I’m sure you will be satisfied with the amount of tech which comes standard with both Vitara and Rush. If you have a big family then you are better off with the Rush but if driving fun and mild off-roading suits your fancy then certainly go for the Vitara. Hence no clear winner can be announced here.